From the time he was a young boy, Robert Montgomery had dreams of flying. Born in Houston in 1921, his initial college experience at the University of Houston included two years of primary and secondary flight training in the Civilian Pilot Training Program. He received his private pilot's license in 1941 and then enlisted in the U.S. Army Air Corps. But, unfortunately, flying was not in the cards. "When he got into the military, they wouldn't let him fly on account of a broken wrist," said his widow, Hazel Montgomery, 92. Because of his injury, Robert was sent to New Haven, Conn., to work on planes. Eventually, he returned to Houston to finish his degree. Robert and Hazel married in 1943 in Houston. Discharged from the military in 1946, he returned to Houston and worked as a draftsman with the city's public works department, attending UH part time. Having grown up in the Great Depression, Robert considered himself lucky that UH was there to help him get an education when few could afford one. The GI Bill paid for him to complete his degree. "His family didn't have the money, but they were doing what they could," Hazel said. "The fact the university helped him [attend college], and then when he got back from the military and could go back and finish his education — he was forever grateful." Robert eventually decided to channel that gratitude into the Montgomery Family Trust, which he and Hazel set up to support heirs and nonprofit organizations that were important to each of them. His alma mater, the University of Houston, was at the top of his list. Robert graduated from UH's College of Engineering in June 1952 with a bachelor's of science in civil engineering. His next job was as civil engineer with Gulf Oil, where he worked from 1951 to 1959. Next, he became a design engineer and then chief paving engineer for the city of Houston, a job that lasted until his retirement in 1980. Robert received service awards from three mayors and a proclamation of "Robert Montgomery Day" on March 21, 1980. Once he retired, he and Hazel moved to Palacios, TX, where they had often vacationed. "We loved the community," said Hazel. "We love to fish, so we bought a house on the water with a pier. We could walk right out the front door and go fishing." Robert remained busy in his retired years, and one of his proudest achievements was serving as chairman of a seawall commission that worked to prevent erosion of the beach in his community. Robert and Hazel were together for 60 years before he passed away in 2003 from leukemia. After his death, Hazel had many choices to make concerning the decisions she and Robert had made, including the decision to give a gift to U of H.
In December 2010, Hazel decided to establish a charitable gift annuity to benefit the University of Houston in memory of Robert. "With the way things are in the economical part of life, I decided I would go ahead and do it now," she said. "I thought that was the greatest way to get the main part of the money to the university now, and if I got to the point where I needed some, that would be covered." The gift annuity established by Hazel, along with a current memorial endowment gift she made in 2009, will benefit the W. Robert Montgomery, Jr., Scholarship Endowment at the Cullen College of Engineering. These scholarships are for civil engineering students who are juniors or seniors. Copyright © University of Houston. All rights reserved. Report a problem with this page. 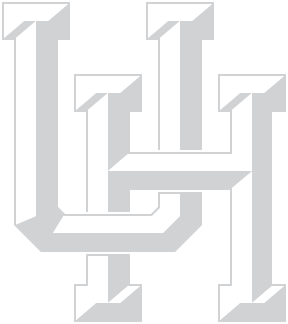 A charitable bequest is one or two sentences in your will or living trust that leave to the University of Houston a specific item, an amount of money, a gift contingent upon certain events or a percentage of your estate. "I give to the University of Houston, a nonprofit corporation currently located at 4800 Calhoun Road, Houston, TX 77004, or its successor thereto, ______________ [written amount or percentage of the estate or description of property] for its unrestricted use and purpose." A donor advised fund is an account that you set up but which is managed by a nonprofit organization. You contribute to the account, which grows tax-free. You can recommend how much (and how often) you want to distribute money from that fund to UH or other charities. You cannot direct the gifts. You fund this type of trust with cash or appreciated assets—and may qualify for a federal income tax charitable deduction when you itemize. You can also make additional gifts; each one also qualifies for a tax deduction. The trust pays you, each year, a variable amount based on a fixed percentage of the fair market value of the trust assets. When the trust terminates, the remaining principal goes to UH as a lump sum. You fund this trust with cash or appreciated assets—and may qualify for a federal income tax charitable deduction when you itemize. Each year the trust pays you or another named individual the same dollar amount you choose at the start. When the trust terminates, the remaining principal goes to UH as a lump sum. A charitable gift annuity involves a simple contract between you and UH where you agree to make a gift to UH and we, in return, agree to pay you (and someone else, if you choose) a fixed amount each year for the rest of your life.